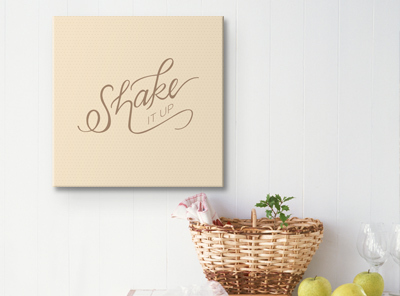 Hand lettered typography art combining names of kitchen tools with everyday phrases. Each piece from the Kitchen Art collection is printed on high quality canvas before being smoothed over a sturdy frame that won't stretch or sag, so you can enjoy it for years to come. No matter how hot it gets in the kitchen, these pieces will stay fresh. Pricing shown here is final; no additional coupons, vouchers, or discounts may be applied.